As a newborn photographer, I have to keep my nails smooth. I would hate to scratch a newborn baby whilst moving them into new sets and props. I file my nails regularly and it's always been using a basic nail file from boots. I must admit, I saw the Stylfile product years ago and I guess I just hadn't taken the time to pick one up for myself, until now. Whilst on a random shopping trip to TK Maxx I noticed these Stylfile products sitting lonely on the shelf. I originally planned on just picking one up, but when I noticed they were file and buffer, I needed both in my life. I paid £2.99 each for them, but on a later trip noticed a gift set for only £4.99, which included both of these products and a keyring file. I'll give you a little break down of my nails before we jump into this review. I have naturally long nails. I don't bite them, however lately (after staining so many photography props and having to scrub my nails clean) they have been snapping a lot more than normal. When this happens, I tend to clip them all really short and start again. 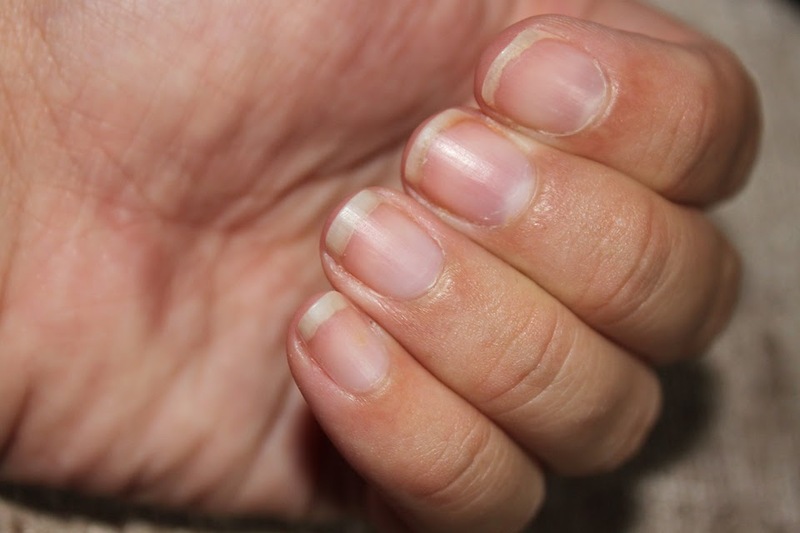 My nails grow quite quickly so I'd take shorter even nails over a mess of random lengths, any day. We'll start of with the buffer. 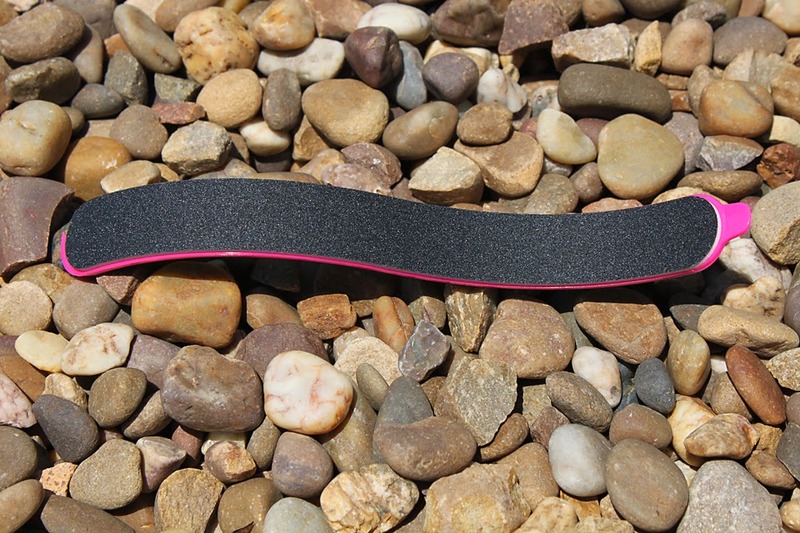 As with all of the stylfile products, this is an S Shaped too. Although I completely understand how this comes in handy with the file, I was a little dubious when it came to the buffer. The packed comes with instructions on the back, although it's pretty simple to work out without. The buffer is numbered with the stages in sequence. Perfect instructions for even the novice manicurist! Step 4: Rub section 4 over your nail to make it shine. This is where I realised that the S shaped curve to the buffer actually came in handy. 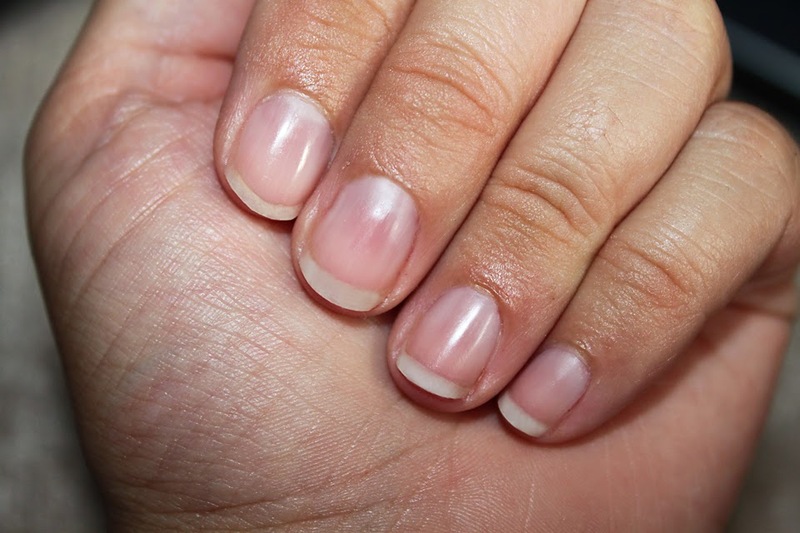 It's easy to get all sections over all parts of your nail, and the result speaks for itself. 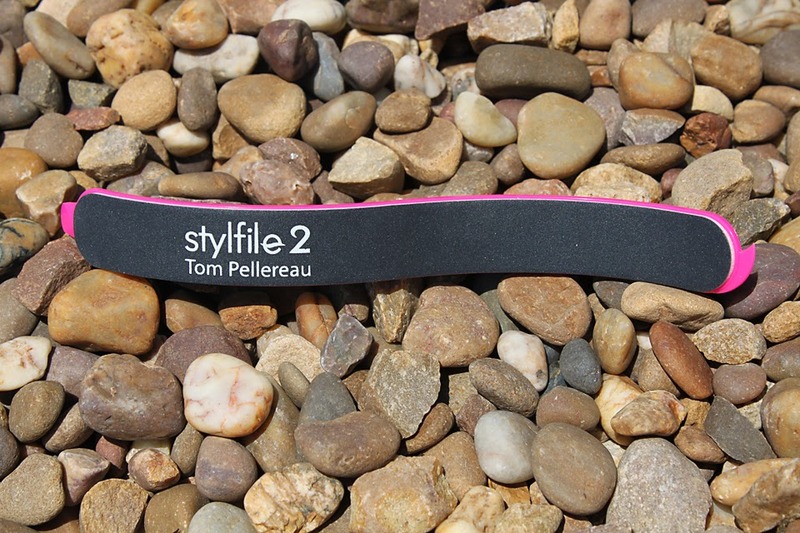 Then I moved on to the Stylfile 2. 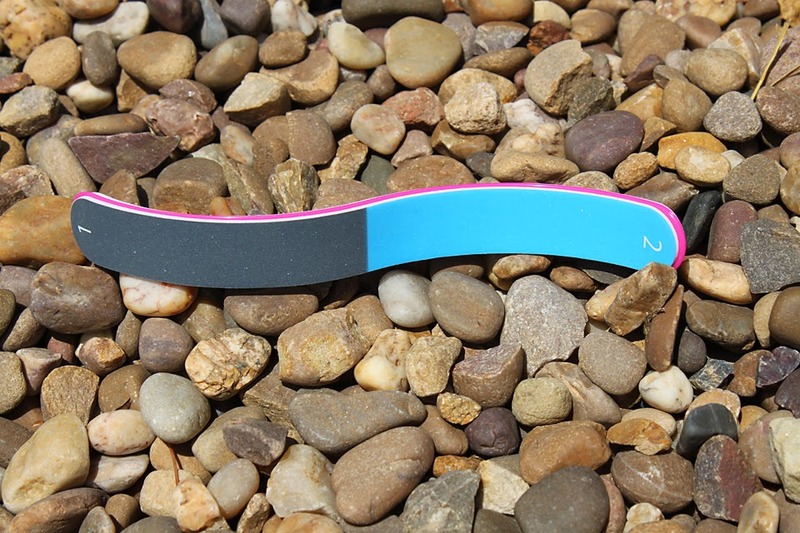 I'm not sure if this is called a Stylfile 2, or if it's an updated version of an original Stylfile. Perhaps Tom Pellereau can answer that for you. The first thing I noticed with the file was that it has two pink pieces off the side of the file. One is an under-nail skimmer and the other a cuticle pusher. I am obsessed with this under-nail skimmer, it's the perfect shape and size for removing any dirt that's stuck under your nail. 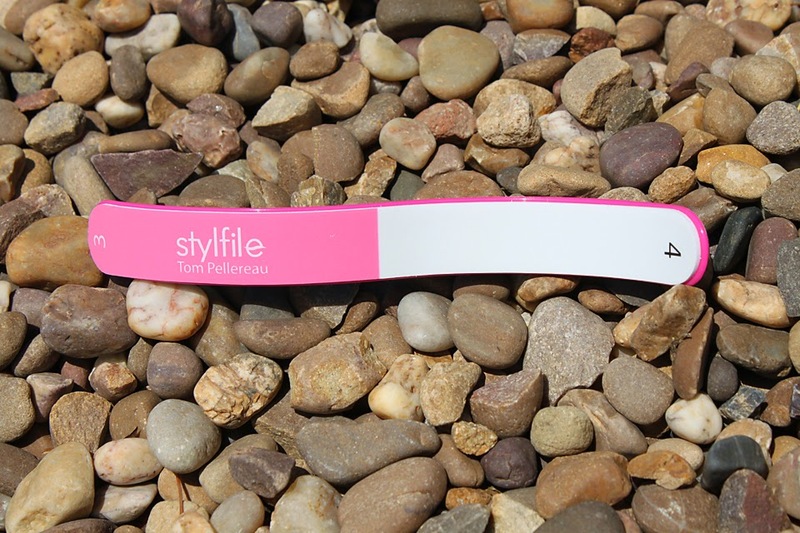 If that is what makes it a Stylfile 2, I'm happy I waited for this one! As you'll notice, both sides of this file are black and neither are numbered. I originally just filed my nails with the second side (plain) and noticed that although my nails looked great, they were still really sharp. I turned it over and tried the side with the logo on, and they became perfectly smooth. I think the grain is different on both sides. So I'd recommend starting with the plain side, and then running your nails over the logo side when you're done. The S shape really helps shape your nails as you really don't have to pay much attention to what you're doing. The file follows the shape of your nail (or maybe the other way around), so all you have to do is run your nail from the outside of the file to the middle, and it shapes itself. Here are a couple of before and after pictures. This was really easy to do, and took me a maximum of 5 minutes. Definitely an item I would recommend, although I wish I'd waited and bought the gift set. There are so many times where I break my nails out and about, and that little keyring in the gift set would have come in very handy. 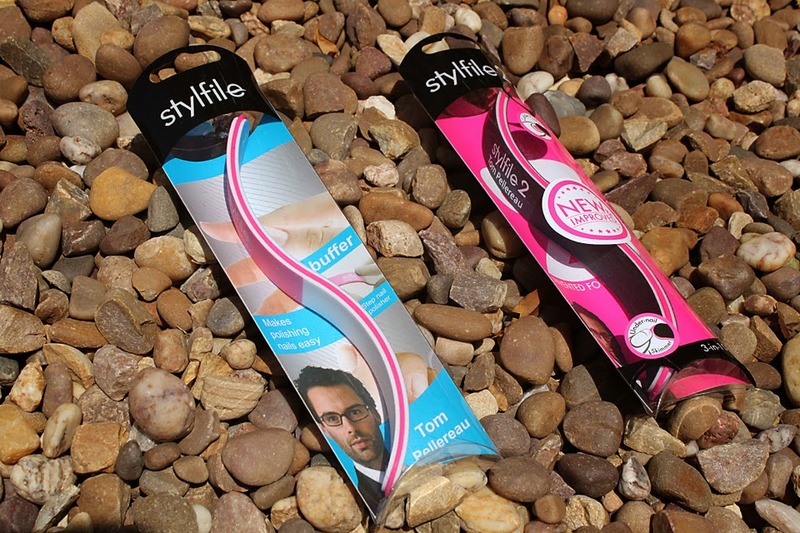 If you want to grab yourself one of these amazing files, or know somebody who would love them as much as I do, check out Stylfile.com they even have free shipping on all orders over £5!